Focus on what you need – not what your guts can take. The Maurten Gel 100 hydrogel technology allows you to get enough energy, without risking the race. 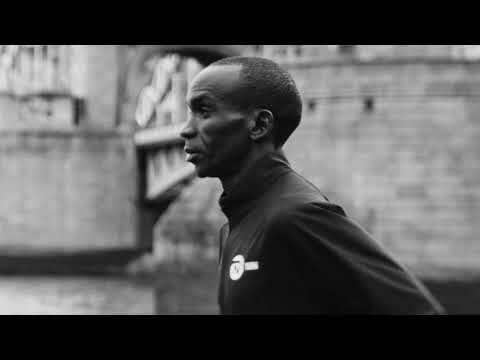 The GEL 100 was used by Eliud Kipchoge when he broke the world record on the 16th Sept 2018 and crossed the finish line in 2hrs 1 minute and 39 seconds. "This is the world’s first energy gel". This a bold statement from Maurten. But nonetheless true. From a technical perspective traditional "gels" are water and carbohydrates mixed into syrups, often filled with flavours and preservatives. The instructions state that you should consume them with water, but not this one. It is built by harnessing natural hydrogel technology and built with six natural ingredients. It doesn’t contain any colourants or preservatives and comes in 40g servings that contains 60% carbohydrates – a high weight to energy ratio. AMOUNT OF ENERGY Studies have shown that our bodies can make use of up to 90 grams of carbohydrates per hour. Recent science has shown that the 0.8:1 glucose and fructose ratio enables even greater uptake – up to 100 grams per hour. The GEL 100 is developed by using this ratio and packs a lot of energy. One serving contains 25 grams of carbohydrates. Consume four GEL 100 per hour and you’re all set. HOW DOES IT WORK? The GEL 100 is built on hydrogel technology*(*patent pending). The hydrogel enables a smooth transportation of the carbohydrates through the stomach to the intestine where the water, salt and carbohydrates are absorbed. INSTRUCTIONS; Consume the gel minutes before, during and/or directly after activity. The GEL 100 doesn't taste very sweet, you could almost say it’s flavourless, since the carbs are encapsulated in the hydrogel structure. You won’t need to wash it down with water. The science behind Maurten fuel is that it reduces the gastrointestinal stress that comes with highly concentrated carbohydrate solutions.